To say that technology moves fast is an egregious understatement -- especially in the car world. Unless you're between the ages of 16 and 20, chances are high that a lot has changed since you first learned to drive, and the knowledge passed down from your parents and your parents' parents is completely outdated now. 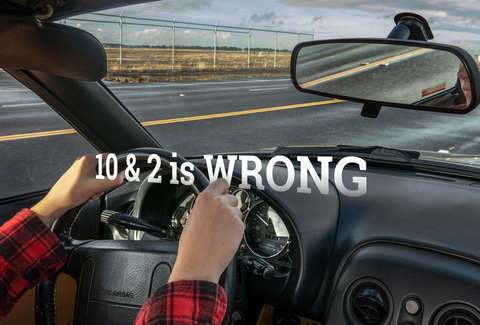 I'm not saying everything you learned in driver's ed was total crap, but here are some pretty important misfires you should definitely stop believing. If I’ve written it once, I’ve written it a thousand -- nay, a zillion times: do not keep your hands at 10 and two on your steering wheel. 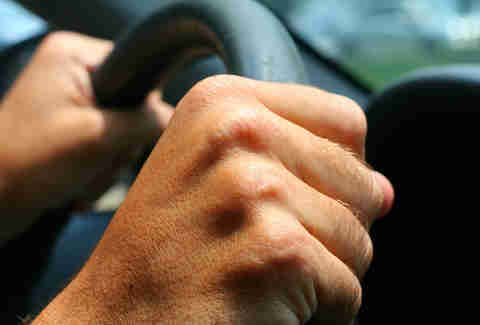 This dates back to an era when a) airbags in the steering wheel weren’t a thing, and b) not all cars had power steering. If you’re in a car from the 1950s with a steering wheel the size of an extra-large pizza, and driving makes you feel like the captain of an ocean liner, then by all means, put your hands at 10 and two. Otherwise, you risk a very unpleasant-sounding injury sometimes caused by airbags called degloving. So get cozy with nine and three, and stay there. When antilock brakes first hit the scene, they caused a lot of confusion, and a frighteningly large chunk of that confusion was passed on from one generation to the next. In the vast majority of situations, to stop in the fastest and safest manner possible, DO NOT PUMP YOUR BRAKES. You know when you brake extremely hard and you feel the pedal vibrate against your foot? That’s the system automatically pumping the brakes for you, far faster and far more efficiently than any human could. Your engine is warm enough to start driving in the vast majority of cars, and in the vast majority of climates, within around 30 seconds (basically, when your idle drops down to normal). That does NOT, however, mean you should just take off down the road, because the rest of your cars fluids (in your transmission and differential, for example) are still cold. For reasons related to pollution controls, your engine emits less greenhouse gasses when both the engine and exhaust components are hot. TL/DR? 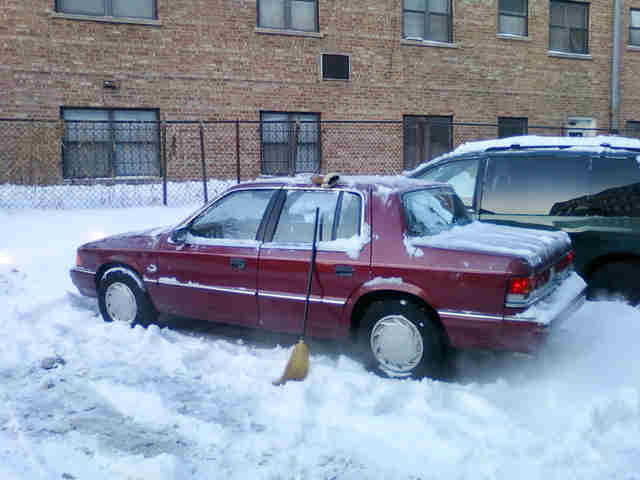 Start driving after 30 seconds unless you're in an absurdly cold climate. Just don’t drive hard for the first five to 10 miles -- but you can fudge this a bit if you’re somewhere hot as hell like Phoenix in August. A long, long time ago, there was something called a carburetor. Its job was to link to your accelerator and control the amount of air and fuel that entered the engine. If your car was having a hard time starting, pushing your foot down would get a little more fuel into the combustion chamber, where (hopefully) the spark plug did its trick and ignited the mixture, starting the engine. A slightly less-long time ago but still pretty far back into yore, fuel-injection systems took over that process. Today? Both are outdated. On most cars you don’t even control how long you crank the starter with a start button -- the button itself initiates an entire sequence of events, from squirting the right amount of fuel, to spinning the starter for the right length of time, to adding the right amount of spark. Problem solved -- human input not needed. The debate arises when comparing today’s SUVs to today’s passenger cars. The laws of physics dictate the larger vehicle with more mass will change its trajectory less in a collision with a smaller, lighter vehicle. That’s an inherent advantage, but it hardly tells the whole story. Just last year, a study showed very compelling evidence that it’s not the size of the vehicle that matters, it’s how expensive it is. Translation: you’re paying for better engineering and more advanced safety tech. 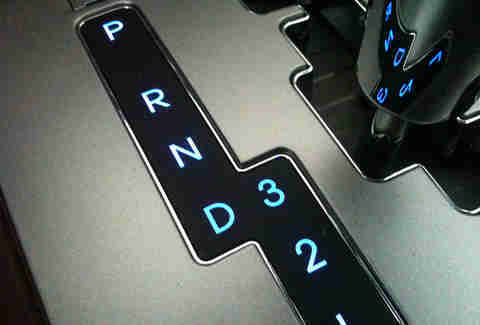 The PRNDL -- the Park/Reverse/Neutral/Drive/Low format for your automatic transmission's gear selector -- has been around for a half century. But from Mercedes to BMW to Chrysler and Fiat, manufacturers are moving away from the PRNDL because in an age where your transmission is controlled by computers, it’s not necessary. A shocking percentage of the population fails to grasp the fact that all-wheel-drive vehicles do not stop faster than their front- or rear-wheel-drive counterparts. The only place where all-wheel drive has an advantage? Accelerating, where the extra help in getting started can give a false sense of traction, leading some drivers to hit the brakes expecting normality. If you’re going down the highway and suddenly contact a patch of black ice, you’re officially along for the ride regardless of how many wheels are pushing you forward. You wanna stop faster on the slick stuff? Get winter tires. Does throwing money at your car make it more powerful or able to handle corners better? Well, yes. But if you don’t know what you’re doing and you shell out on a super-fancy suspension full of complex phrases you don’t actually understand -- triple-adjustable coilovers with remote reservoirs are amazing! -- you’ll look like an idiot and the handling will be worse. 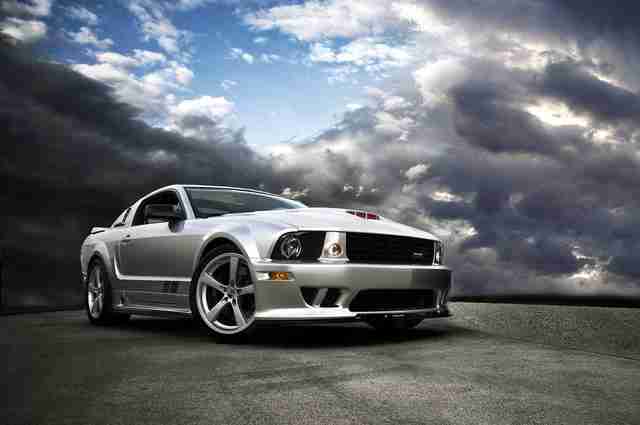 Souping up your car can make it faster... but only after you’ve made yourself faster. 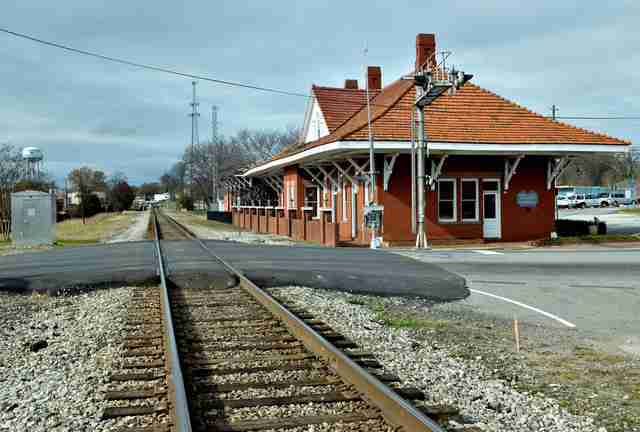 The theory is simple enough -- if you fly over a railroad track or speed bump at too high a speed, you’ll upset the balance of your car and potentially crash. While slowing down beforehand is never a bad idea, if you do so during the bump you’re making matters worse. When you brake, the car starts to nosedive, compressing the suspension so it can't properly absorb the impact from the bump. 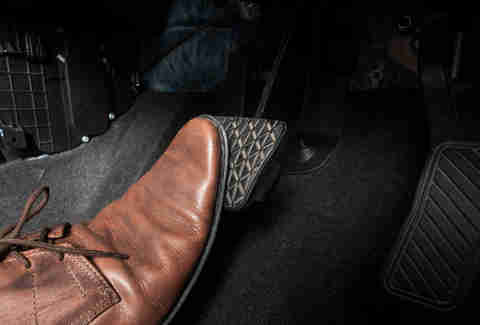 Brake first, then ease off the pedal before you get there. Your ride will be smoother, and you'll have better control. Aaron Miller is the Cars editor for Thrillist, and can be found on Twitter. He used to do a few of these, a long, long time ago.